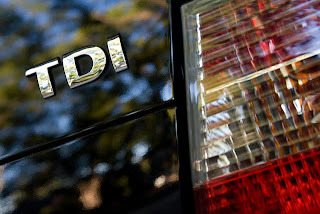 I've debated on how to improve the system but the more I think about it I would rather start from scratch on another car - perhaps a Jetta wagon. Currently the car works and there does not seems to be any problems. I do not have the time to modify this one too heavily - the original convertion took me a week. After the install I kept tweaking it the more I learned about how it works. If I were to do another install I think I could do it in 2 days - barring any waiting on parts. - It will let me return the oil (and some diesel) back into the veggie tank from the looped return when purging. This will reduce or eliminate veggie in the diesel tank. The downside of this is that while purging I will be pulling diesel out of an already small 5 gallon tank that is not returned to the tank, this means more fuel ups of diesel. 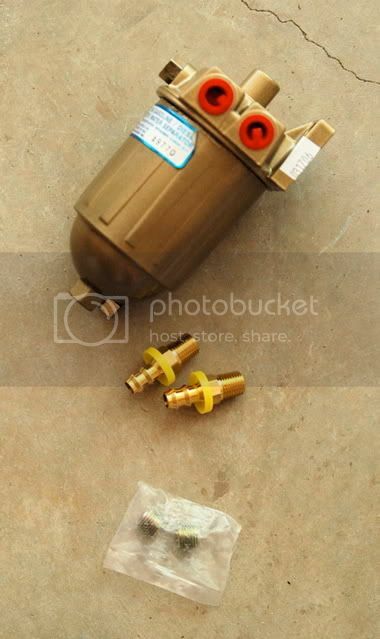 - The other benefit, and it relates to hot weather use, is I can eliminate the looped return while running on veggie and return the hot oil back to the veggie tank rather then putting it back directly into the fuel loop. How effective this is to heat reduction is questionable but I don't think it will hurt. - Another item is a shutoff ball valve to prevent coolant from going to the Vormax , if I choose, so that I can go back to diesel in the stock full tank if I ever want to. Because of the 4.5G doughnut diesel tank I can not drive along distance on diesel. With my current commute I have to fill up with diesel once every other week. This frequency would really never change because once the car is running on Veggie I could go hundreds of miles and still use the same amount of diesel because I have to start on diesel and stop on diesel so the amount I drive on veggie - barring any long stopping periods (the engine cools off) is irrelavant. Running strictly on diesel is something I could do during the winter months and never switch over to veggie. I would simply shutoff the coolant to the Vormax, refill the empty stock tank with diesel. The fuel going through the Vormax is not heated. My veggie lines under the car are not very insulated so they can go back to carrying diesel with very little heat gain . . .at least I think so. Plantdrive adds a 2 micron racor filter to their TDI kit. I don't understand why because the stock filter for the diesel fuel is 10 micron. Frybrid sells a heated TDI filter housing and it uses a stock VW filter. I guess there's no harm in filtering more then is needed. 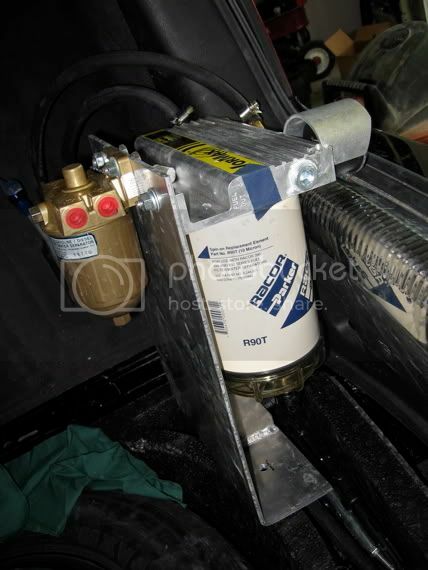 Currently in my installation the the Racor is attached to the back of the Vormax housing in the trunk. I've noticed though that the racor does not get hot, at least not very quickly. This just seems to be something that should be heated to lessen stress on the IP. My plan is to move the racor to the engine bay and wrap it in a coolant jacket, similar to the one that Dana Linscott offers plans for on his website. This hopefully will lessen the viscoscity of the oil in the filter and also provide heated oil to the engine at swicthover to VO. With the Vormax is in the trunk, the section of veggie line between the vormax and IP contains unheated oil at switchover (my lines are not heated). If I wrap the racor in aheated jacket and place it in the engine bay the initial section of oil to reach the IP will be somewhat warmed up. I haven't decided on whether to use rubber or aluminum tubing as the heater element. Dana Linscott recommends rubber because of the amount of contact it provides to the item you want to heat. I have some left over aluminum tubing from the initial install so I think I may use that and wrap it in insulation. At the same time I will try and heat a portion of the veggie line that I can access with a HOH application. This coupled with the looped return, I hope,will increase the temp of the oil that is intially injected into the engine at switchover.